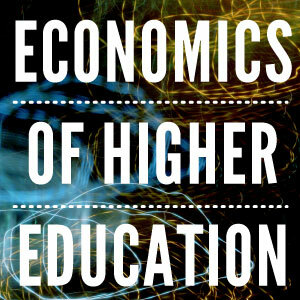 An important question in the economics of education literature is whether quality of postsecondary education has a significant impact on students’ future labor market outcomes. Our paper shows that higher quality schooling, defined by the quality of university attended and field of study pursued, can lead to a significant increase in earnings for academically marginal students. Recent reports suggest that there is a growing wage gap for jobs in the fields of science, technology, engineering and mathematics (STEM). From a policy perspective, these fields are perceived to be the basis for innovation and governments have been increasingly investing in STEM education. For example, the United States’ proposed budget for the fiscal year allocates $2.9 billion for STEM education programs, a rise of 3.7 percent over the previous year. While there is a positive correlation between STEM education and earnings, the evidence on whether this link is causal is scarce, especially with regards to the magnitude of the returns. Indeed, one could imagine that majoring in a STEM field in college could lead to an increase in earnings. However, it is also likely that the individuals who enroll in these fields are better students with better prospective outcomes regardless of major chosen. As a result, measuring the true returns to STEM education is complex. Recent studies also find that there is a significant wage premium from attending the most selective of universities. However, little is known about the extent to which these returns are realized the further we go down the selectivity chain. In other words, are there differences in the labor market returns to attending two universities that are both moderately selective but which slightly differ in quality amongst each other? Our paper looks at the labor market returns to quality of university attended and field of study pursued. To do so, we exploit the presence of the General Baccalaureate, a national degree that students in France must earn in order to graduate from secondary school and enroll in post-secondary education. In order to be awarded the degree, students have to sit for and pass national exit exams during their last academic year. Students are generally given two attempts to pass this exam within the same year. We compare students who barely pass and barely fail the first round of exams within the same year. The intuition here is that students who score just above and just below the passing threshold are comparable in unobservable attributes such as ability and motivation. In fact, the only difference between these two groups is that those who scored just above the cutoff were awarded the Baccalaureate degree on the first attempt. We find that marginally passing on the first try does not affect the likelihood of ever passing the Baccalaureate exams, graduating from college or years spent in higher education. However, it does increase the likelihood of attending a moderately higher quality university (versus a moderately lower quality one) and pursuing a STEM degree. This increased access to higher quality schooling is associated with a 13.6 percent increase in earnings at the age of 27 to 29. We present two possible explanations for this observed increase in schooling quality. First, universities could perceive the timing of degree receipt (i.e. obtaining the degree from the first attempt) as a signal of student ability, which would then factor into admissions decisions. Second, students who barely fail may be discouraged by their results, making them more susceptible to impulsive educational decisions such as enrolling in lower quality universities and/or non-STEM majors. Our findings have significant policy implications. First, while we find that students who barely fail the Baccalaureate from the first try are not discouraged from entering higher education or graduating college, our results suggest that there are consequences associated with exit exams that have not yet been considered. Exit exams may restrict access to higher quality postsecondary education, which in turn can have a significant impact on earnings. These results are important and should be considered when analyzing the costs and benefits of exit exam administration. Finally, while it remains an open question as to the extent to which our results apply to other settings, they suggest that academically marginal students benefit from higher quality postsecondary education in a significant way. From a policy perspective, this indicates that there are potential gains from increasing marginal students’ access to better universities and STEM majors.